Menzies Aboriginal Corporation (MAC) is one of the few Aboriginal organisations in the region that still has full control over its community assets. It owns residential housing and other premises including several heritage railway cottages. These unique heritage buildings are slowly deteriorating and if nothing is done soon, they will be lost for future generations. A piece of history and part of Menzies will be gone forever. Understandably, MAC is keen to preserve the community’s history. And making the most of its assets will create employment and income opportunities for the community too. Since 2009 ICV has been working with the community to help make their vision a reality. Volunteer Stephen has worked with local men to increase their home maintenance and repair skills. This helps keep these kinds of jobs in the community and avoids having to rely on costly out-of-town contractors. 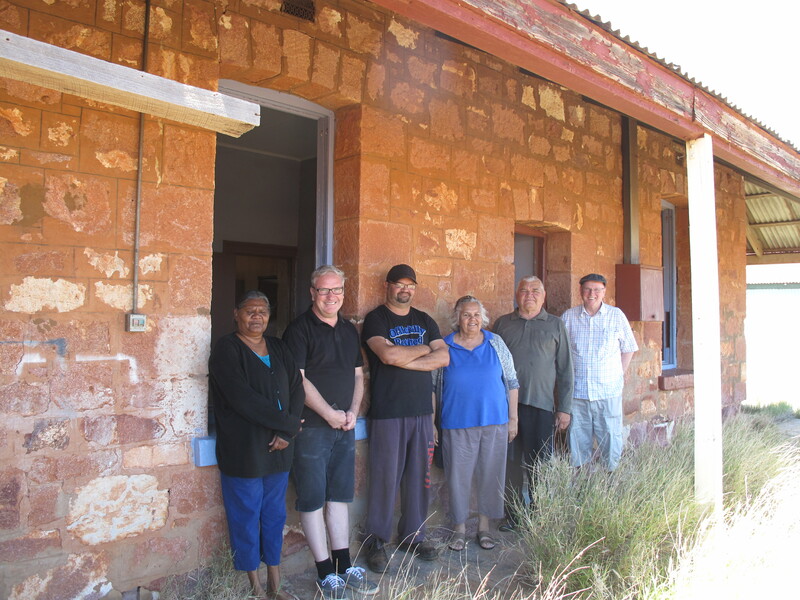 More recently, ICV volunteers Harry, Noel and Remko have been working with MAC and Menzies community members to develop a business case and plans to turn the heritage listed cottages into tourist accommodation. After spending time consulting with the community, Harry developed the first draft business plan. Noel was then invited to help complete drawings and specifications to renovate three railway cottages and the station master’s house. This information then allowed Remko to step in and complete an accurate cost analysis of the specifications. Harry now has enough information to produce a final draft of the business case and MAC has already begun to engage with stakeholders with the potential to fund the project. There’s much excitement in the community about the plans. Shire councillor and local Business man Justine Lee said, “It’ll actually bring people and get them to stay in town… It will create employment in this community, not just the maintenance, cleaning and people directly involved in the project but also there are the added benefits of just having people staying here”.